Mental health affects us all. Your giving empowers and supports those in our community who need it most. The Mental Health and Substance Use program at Royal Jubilee Hospital treats over 2,200 inpatient cases every year. Whether you or someone you care for, mental health issues affect everyone. Our program, team, and facilities provide resources so patients can rest, heal, and recuperate. And in many cases, we are able to help them onto a happier and healthier future. Your targeted donation helps fund specialized equipment and projects to support those living with mental health challenges. One in five Canadians will develop a mental illness at some time in their lives. Resources, technology, and special projects allow patients to receive prompt action and effective support in a respectful environment and comfortable, safe surroundings. You’ve likely seen the impact of mental illness. But some struggles aren’t so obvious. Many suffer in isolation, unable to access support. That’s why the Royal Jubilee Hospital’s mental health service was designed to address the full spectrum of need — from acute psychiatric illness to long-term mental health challenges. 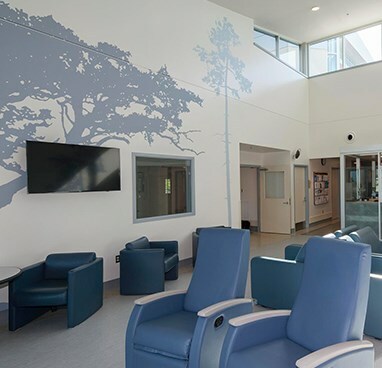 The hospital hosts the Archie Courtnall Centre — the region’s Psychiatric Emergency Services Unit — and dedicated units for specialized mental health care. Treatment areas are safe and private, allowing family and friends to be involved in assessment and care. Those requiring a longer stay are transferred to an inpatient unit in the first two floors of the Patient Care Centre, where there’s also a dedicated Seniors Mental Health Unit. This integration provides a dignified union of physical and mental health and helps reduce the stigma around mental illness. Victoria General Hospital offers immediate and specialized crisis help for those under 17 years of age with mental health issues. Our services will help you figure out what the underlying issues are for your child and how to address those issues. Client-centered, trauma-informed, least restrictive and collaborative, the help is there to do just that: help. Through its Mental Health and Substance Use program, Island Health provides care in the context of a wider network of community services and supports. To support patients and families living in our community, mental health services are available on an outpatient basis through the Eric Martin Pavilion. The team liaises with both family members and community facility staff, ensuring patients are well-understood and well-provided for long after discharge. 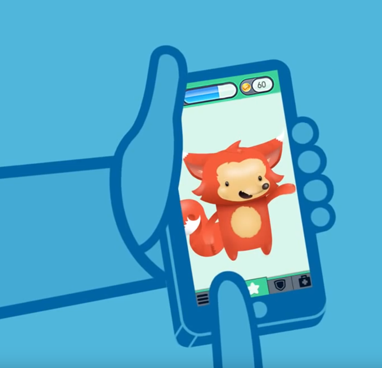 To provide life-saving care and information, the mental health teams use specialized equipment and technology like BoosterBuddy, a revolutionary gamified app that incentivizes self-care and helps to make its users feel companioned day-to-day. These supportive tools and strategies allow caregivers to better assess mental illnesses and aid with highly-specialized treatments. Mental illness is a shared struggle. With your donation to mental health, we can invest in equipment, projects, and technology specifically designed to support some of the most vulnerable people in our community.